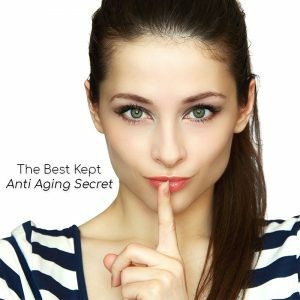 It should come really as no surprise – facial exercise with Facial Magic is the best kept anti aging secret! Nasal labial folds: you know – the folds and lines (wrinkles) that are determined to develop into permanent grooves on the side of your mouth, in your cheeks and up to your nose. They’re more than just laugh lines. Even if they were formed by laughing, you don’t feel like laughing now because every time you see them, you know they are winning the war of aging. Flabby muscles make you look older; if your arm muscles jiggle, those muscles need exercise. If your thighs look dimply or the skin on your upper inner thigh feels thickly soft, you can firm and tone that area with exercise. The same with a thick waist, a droopy backside or a bulging tummy; exercise is the solution. An exercised body looks streamlined; improved posture means you no longer slouch and your tummy looks flatter because your core muscles have new life and strength; they’re in better shape from oxygenated blood, contractions and resistance. The face and neck muscles can become flabby, too. When these muscles soften and then droop, it is blatantly apparent that something unflattering is occurring. Mind you, aging in the face is sinister because it takes a lot of years for faces to develop lines, folds and sags. By age forty, most people are seeing the early stages of muscle atrophy when their eyelids feel and look heavy, by fifty, the jaw feels spongy and you see that droopiness is affecting your good looks. The look of old will affect your confidence and no matter how you wear your hair, or how much makeup you use, you will still see sagging. You can disguise a multitude of aging in the body by the clothes you wear – black, loose fitting clothing can conceal waist, tummy, hips, thighs and arms but how can you mask aging in the face? Thankfully, there are safe and sane techniques that will save your face and they are easy to master. Facial exercises will quickly isolate the affected areas of your face and in just minutes a day, you can deliberately, systematically, and consistently help your face look healthier, prettier, and younger. These exercises are not contortions; rather, they are isometric and resistance exercises that will shape and contour your face easily and simply without the high costs typically associated with cosmetic or plastic surgery. From the moment you begin this incredible transformation process, you will see and feel the difference in your muscles and skin every time you perform the exercise movements. Successfully exercising your cheeks to lift those laugh lines requires you to learn how to anchor the muscles near the nose so when they contract they reposition higher near the ear in the hairline. Have you stood in front of your mirror and pulled the hairline up and back just wishing you could iron out those lines that run from the nose to the mouth? Exercise helps this to happen. Not just one exercise. Several exercises target specific muscles and muscle groups to contract the cheek muscles up and back to the ear. Contractions and resistance movements plump up the muscles, helps the skin to look healthier from the increased blood supply and gives your face a toned and tightened look. The muscles in the face weave over and under each other; one end attaches to bone, the other end attaches to either skin or another muscle. This means that when the muscles begin their downward slide, they pool into other muscles and muscle groups, depressing the face making one look tired and even old. Surgeons do not want you to know that you can shape and contour your face with facial exercise. 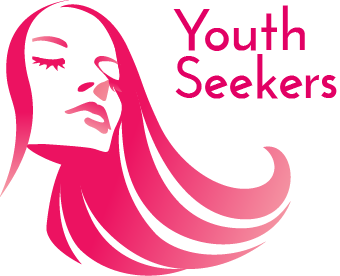 They want you to believe that you need injections, surgery and other costly modalities to keep you looking younger. Exercise is so easy and it makes sense. Consider this, in just minutes a day you can create visible changes that will turn into lasting results. In the privacy of your home, using only your thumbs and fingers, you have the power to reshape and contour your face so that you look younger and healthier without surgery, injections or risky procedures. For the rest of your life, this exercise program will work for you and you can forever look substantially younger. It’s the best kept secret! Try the following exercise for a few days and see your forehead smooth and your eyes lift.